"Hi, feel free to publish these to your website. I bought it in 1976 and sold it in 1980 to a fellow in Sault Ste. Marie Ontario Canada. 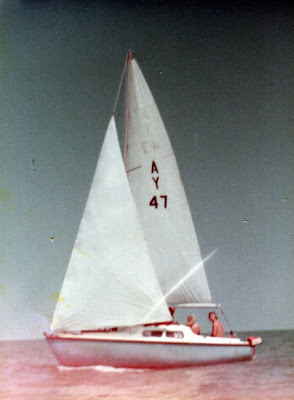 Looking at your website pictures, this would be the oldest one at sail #47. 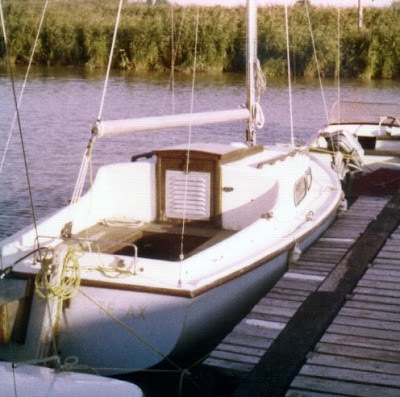 It was my first sailboat, and it took me to a lot of places, including a storm so violent that the coast guard came and offered rescue. I refused and sailed her home, no worries." Thanks for the nice pictures, Ari. I'm not so sure though the sail number really makes it the oldest. Perhaps the oldest Canadian one, as I think the numbers are not global. Surely this one is older.